Buy Online Now! 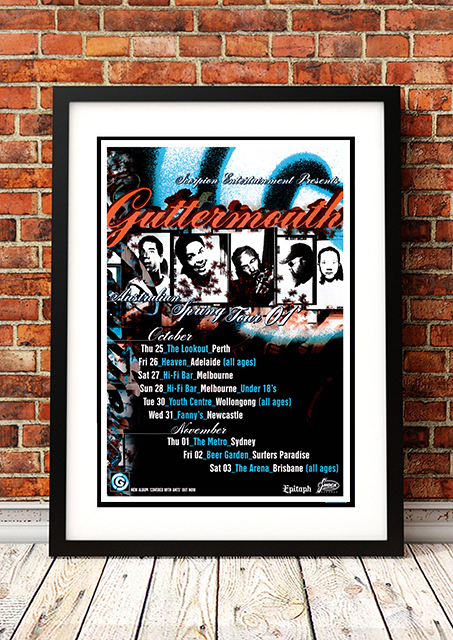 - Guttermouth Rock Concert Posters and Memorabilia. Guttermouth formed in 1988 and have released nine full-length studio albums and two live albums and have toured extensively, including performances on the Vans Warped Tour. They are infamous for their outrageous lyrics and behavior which are deliberately explicit, offensive and intended to shock, though usually in a humorous and sarcastic manner. 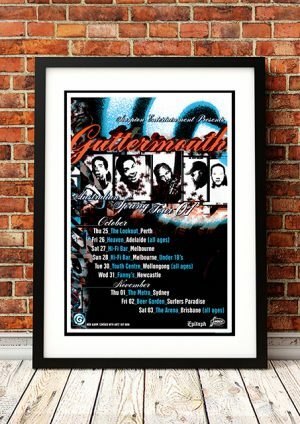 We stock an awesome Guttermouth Concert Poster from their Australian Tour in 2001.